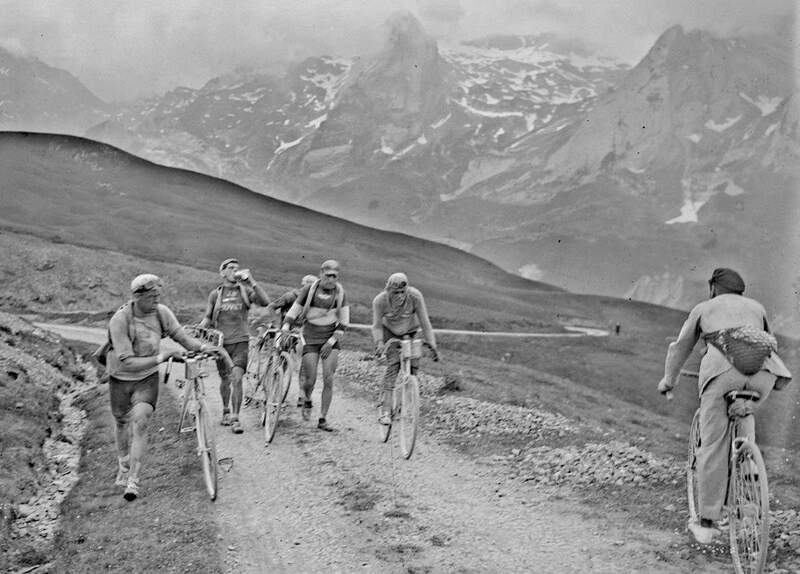 A mountain pass during the 1925 Tour de France. Say “hello” to natives… Frenchman Roger Lacolle (Météore) is leading the group (in the left, walking). The rider going the opposite way is a native, not a competitor. Roger Lacolle (born January 8, 1898, in Bressuire – died March 8, 1973, in Lisieux) was a French cyclist. He was professional from 1921 to 1926 and was competing in both road and cyclo-cross races. Lacolle became the French cyclo-cross champion twice (in 1922 and 1923). Lacolle finished the 1925 Tour de France in 42nd place (there were 49 classified finishers total), 23 hours 32 minute 54 seconds behind the overall winner, the Italian legend Ottavio Bottecchia (Automoto).